Our annual fireworks event is taking place this Thursday 3rd November at 7.00pm. Food will be available to purchase before the fireworks. This is a free event, so come down and enjoy the display with family and friends – please bring your best ‘ooh’ and ‘ahh’ voices with you! 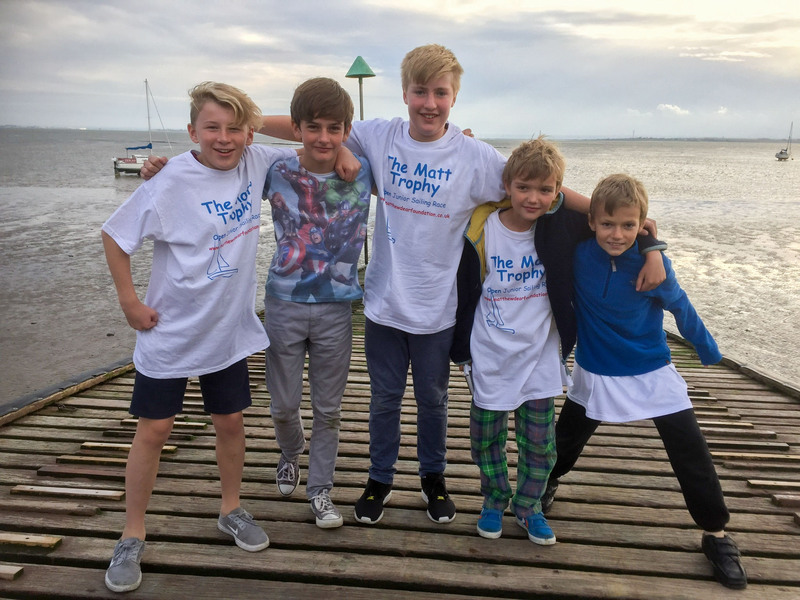 Our Cadets represent TBYC at the Matt Trophy and WIN! 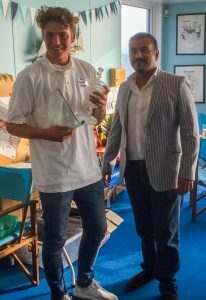 We are proud to announce that Peter S. won the Matt Trophy at the Thames Estuary Yacht Club in his Laser, last Saturday. Moreover, our younger Cadets; Adam, Sam, Luke, Tom, Dominic and Daniel, aged between 10 and 14 years, also performed very well in a large fleet of dinghies from local clubs. Our thanks go to Andras for organising the Picos, Lewis and his crew for the Safety boat cover and parents for supporting this event. Also a big thank you to the organisers at TEYC. It isn’t normal to advertise a commercial service on this website. However Dry Suit arm neck seal and sock repair is something you normally have to travel far to get done, although many may not realise the service is available in Southend just near the football ground. They don’t really sell anything that we would want to buy (diving not sailing), however they do the repairs that we probably now need at this time of the year. This year’s party will take place on the Friday of half term, 28th October, from 5.30-8.00pm. Tickets are on sale from Sunday lunchtime from behind the bar, priced at a bargain £5.00 each! Party snacks will be served from 5.30-6.00pm, at which time the brilliant Tony Robinson (also known to us as DJ Groovy Tunes) will take over to entertain us with a disco and games. So, dig out your scariest Halloween outfit and come and have fun with us! Due to limited numbers of tickets available, we are unfortunately unable to welcome any non-members to the party. This will be a strictly MEMBERS ONLY event. Children’s full names will therefore be required at the time of purchasing tickets. No reservations – please note that we are unable to save tickets for future payment. Tickets must be paid for at the time of request. 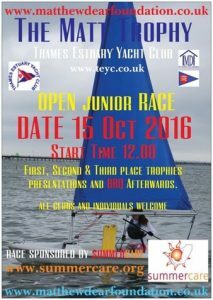 All Dinghy, Catamaran, Sail Board, Kayak and Canoe owners with craft including trailers and trolleys in the Dinghy park are reminded that these are to be removed immediately after the End of Season Trophy on Saturday 15th October 2016 unless entering the Winter and Icicle Series or having submitted the appropriate Winter Storage Application Form. Entry and Storage Forms are available from the links below or from the Club Administrator and need to be received by the Club Administrator with the appropriate fee by Friday 21st October 2016. Winter-Storage-Rates-2016 check here for storage costs first. All Dinghies in Rows I, J, K and M will need to be moved to provide room for the Sandhoppers and Cruisers. Dancing will be to the Essex Undercovers – the same band we have at the Midsummer Night’s Dream Ball in June. I bought her in 2000 from the London Boat Show. Receipts available, owners logbook/Sailing instructions etc. 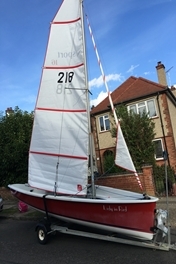 She is 16ft with a Red hull with white upper, sail no 201. She has a furling jib and reefing main. The gelcoat is in good condition with very few marks. Mast, boom, rigging, centerboard and rudder are all in good condition. She is responsive, a great sail and easily towed behind a family car. She has Main, jib and unused gennaker, all in original bags. She has two watertight compartments for storing items and has two self-balers. Although 16 years old she has been dry sailed so no antifoul applied, little used and is very good order and has been maintained bi-annually by the builder White Formula in Brightlingsea. She is on a launching trolley and there is a road base also available with lighting board, winch, and mast support front and rear. There is provision on transom for an outboard motor and a Yamaha 4hp two stroke is also available. less than 25 hours use since new and has been regularly maintained. For Sale, due to lack of use and no time to use her in the foreseeable future. New harken blocks & spinnaker bag fitted at the start of this season. 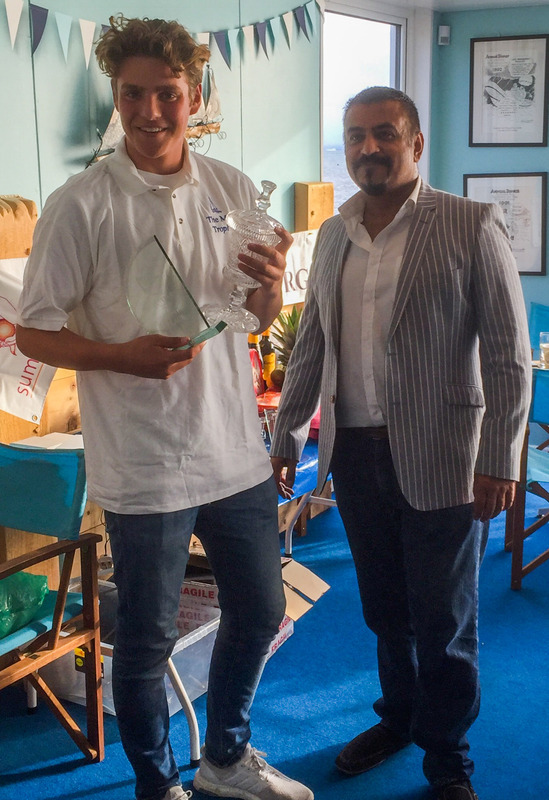 Work Party – Thank you! On behalf of the committee, thanks to everyone who helped out at Sunday’s work party.